Do you recognize any of these healthcare professionals on their lunch break? We think they are Dr. George Hartzell, M.D. 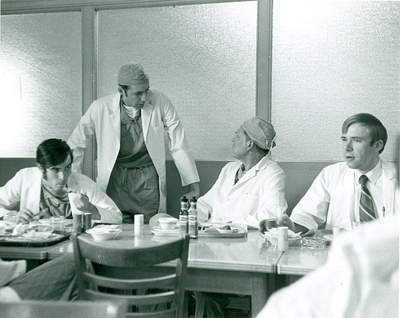 surgeon and Dr. John Stabler with surgical residents in the 1960's.